Your Team Made It To The Super Bowl. Now Maybe It's Time For Flu Shot. We know the Super Bowl this Sunday will feature the Philadelphia Eagles appearing in the big game for the first time in 13 years - also the New England Patriots, who appear in the Super Bowl apparently every year. I exaggerate, but this is their third appearance in the last four years. NPR's social science correspondent Shankar Vedantam has some strong personal views about the game. But he's here to talk about something else. He's here to talk about the effect the Super Bowl can have on our health. Shankar, welcome. SHANKAR VEDANTAM, BYLINE: Thanks, Mary Louise. KELLY: Do you need to get your strong personal views out of the way first, Shankar? VEDANTAM: Well, happily, I - my head says the New England Patriots are going to win, but my heart which bleeds green says the Philadelphia Eagles are going to win. KELLY: You're an Eagles fan obviously. 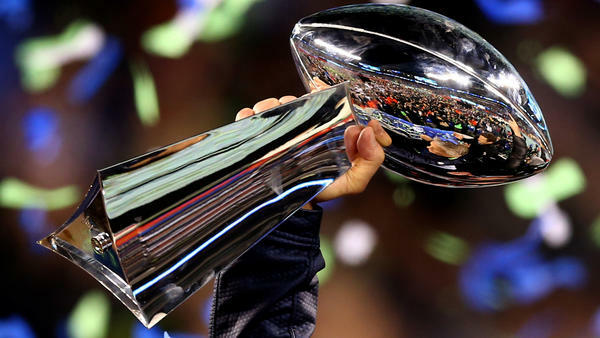 KELLY: No pretense whatsoever of journalistic objectivity in terms of how the score line goes, but what's the connection between the Super Bowl and our health? VEDANTAM: I was talking to Charles Stoecker of the Tulane University School of Public Health. He told me he got interested in how the Super Bowl might affect health when he was working at the Centers for Disease Control and Prevention some years ago. And he saw a newspaper headline when the Super Bowl was being hosted in Dallas. CHARLES STOECKER: A club owner claimed that the city as a whole would need 10,000 extra exotic dancers to meet the demand that spiked during the Super Bowl. KELLY: OK, wow, that's nuts. VEDANTAM: Well, Stoecker thought that this might actually prompt an increase in sexually transmitted diseases, Mary Louise. But when he looked at the data, he didn't find a connection between STDs and the Super Bowl. But he did find a connection between the Super Bowl and the flu. VEDANTAM: Yes, and that's because the Super Bowl produces events that occur all across the country, Super Bowl parties. STOECKER: The Super Bowl changes people's mixing patterns. They might go to a Super Bowl party. They might go to a bar. And if they're at, say, a Super Bowl party and they're in close confines with somebody who has the flu, that flu has more opportunities to move from person to person. KELLY: OK, Shankar, I'm trying to catch you up here with you. The hypothesis here is you go to a party. You come into contact with people. Is that right? KELLY: How did he then go about trying to test this hypothesis? VEDANTAM: Well, it's tricky, Mary Louise. The Super Bowl is played in a different city each year. The intensity of the flu varies from year to year. Different parts of the country are affected differently because the influenza virus spreads fastest in places that are cold and dry rather than places that are hot and wet. What Stoecker and his colleagues Alan Barreca at UCLA and Nick Sanders at Cornell did was track deaths caused by the flu among cities that send teams to the Super Bowl. Unsurprisingly, these are the cities that have the highest levels of excitement about the Super Bowl. And they analyzed mortality data over 30 seasons of the Super Bowl. STOECKER: And we find that cases of influenza mortality among those age 65 and older increase by 18 percent when your team is in the Super Bowl, which is a pretty big increase. KELLY: OK, deaths related to the flu increase 18 percent. This is in the population age 65 and older. Translate that for me, Shankar. How many actual deaths are we talking? VEDANTAM: Well, the researchers guess that in 2014 when the Super Bowl featured teams from Denver and Seattle, there may have been 146 additional deaths as a result of the Super Bowl. Now, the effect is strongest, they find, in years when the Super Bowl coincides with the peak of the flu season and in seasons when the flu is more virulent. KELLY: So a lot of factors here, then - flu season coinciding with Super Bowl, certain cities being colder and more prone to the flu in the first place. Does it matter if your city is hosting the Super Bowl? Should Minneapolis be worried? KELLY: Because they're more excited. VEDANTAM: ...Which makes sense from the point of view that those are the cities where the excitement is going to be the highest. KELLY: So what's the takeaway here? We should just stay home and eat our nachos and wings by ourselves, or what? VEDANTAM: (Laughter) Well, in some ways, the study is telling us something that makes intuitive sense, Mary Louise. It's just the first attempt to notice the phenomenon and quantify the data. The flu spreads when people pass it to each other. So if you increase the amount of person-to-person contact, you're going to increase the spread of the flu. So things you can do if you want to reduce the spread of the flu is, you know, get a flu shot. And if you're sick, stay home. KELLY: Common sense advice for the Super Bowl - and always, thanks so much, Shankar. KELLY: (Laughter) Indeed. That's NPR's Shankar Vedantam. He is NPR's social science correspondent and also the host of a podcast and a radio show that explore unseen patterns in human behavior. That's called Hidden Brain. Transcript provided by NPR, Copyright NPR.